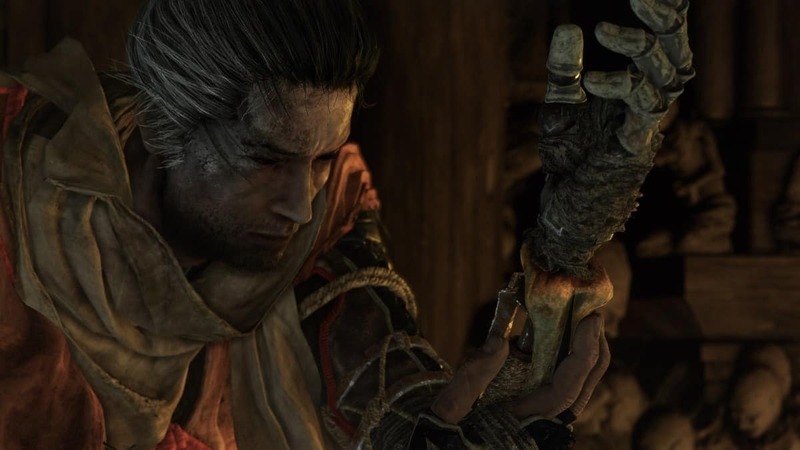 Sekiro Shadows Die Twice Sunken Valley Walkthrough Guide will help you navigate through the region so you can progress through your main story. This is the area that you should consider completing before heading facing the final boss. 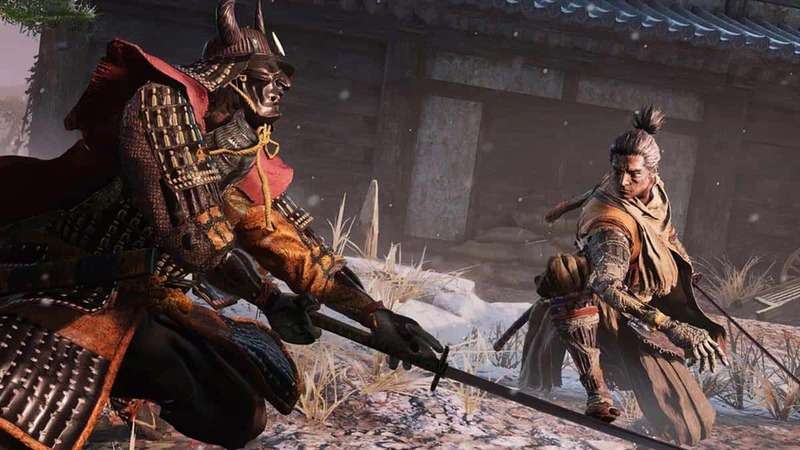 In Sekiro Sunken Valley, you will locate Gun Fort Shrine Key, fight a few mini-bosses, and finally face off against the Guardian Ape. The path to the Sunken Valley goes through the Ashina Castle. Travel to the Ashina Castle – Old Grave Idol and go across the bridge to eavesdrop on the enemies. Head through the snowy area while killing monkeys along the way and you will arrive at a shrine. Grapple up to the cliffs ahead of you and drop down to the Undershrine Valley Idol. From the Sculptor’s Idol, drop down and grapple to the cliff where a rifleman is standing. Deal with the rifleman, proceed to the left, and grapple to the tree branch directly above of you. From there, grapple to the tree branch where another rifleman is waiting. Kill the rifleman and drop to the right and grapple to the hillside then follow the path until you come across the section where you need to shimmy across. A little ahead, kill some enemies and interact with the Sunken Valley Idol. From the Sculptor’s Idol, face the cliff and you will see platforms below to jump on. Grapple your way through and you will face the Snake Eyes Shirafuji mini-boss. As you grapple through, you will come across an incredible vista, however, you will be faced with many guns faced at you. Move quickly and jump down, grapple, and you will face the Snake Eyes Shirafuji. Defeat this mini-boss and you will be rewarded with Prayer Bead. Now make your way to the Gun Fort. To the left, you can either grapple the tree or climb the wall. While facing the Gun Fort, you will be under heavy fire from rifleman so run for your life. Moreover, in the middle of the bridge, there is a big hole that you need to dash through then jump and grapple to break the line of sight. Once you are across the bridge, climb the mountain using the Grappling Hook and kill enemies along the way. Eventually, you will reach the Gun Fort and interact with the Gun Fort Idol. Go to the cave ahead and you will come face to face with Long-Arm Gentipede Giraffe mini-boss. This mini-boss follows the same principle as the Gentipede that you faced in Senpou Temple. Defeat it and you will be rewarded with Yellow Gunpowder and Prayer Bead. The path forward from this point requires the Gun Fort Shrine Key and you cannot proceed without it. The Gun Fort Shrine Key is acquired in the Ashina Castle inside Koru’s Room. 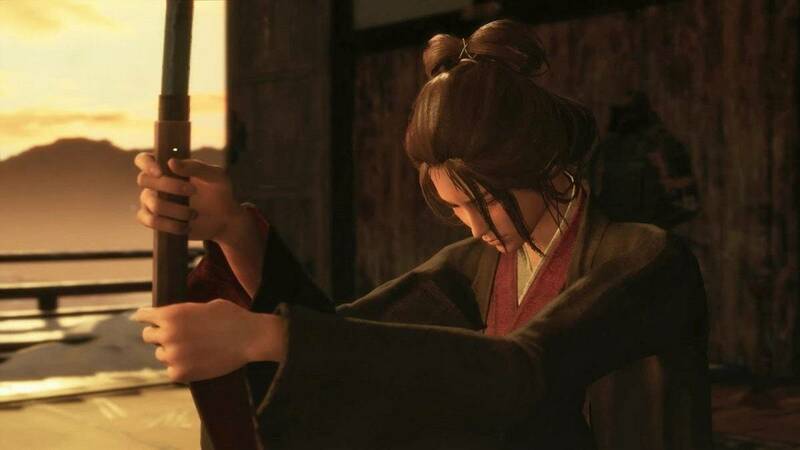 Once you have completed the Ashina Castle, Koru will open up the library and the Gun Fort Shrine Key is in the library. Use the key and cross the bridge and the Great Serpent will attack you and Wolf will fall into the water. Swim your way through and interact with the Riven Cave Sculptor’s Idol. From the Sculptor’s Idol, grapple up the tree branches until you reach an area with huge Monk Statues and grapple across the statues until you get to the Bodhisattva Valley Sculptor’s Idol and talk to the NPC nearby. There will be two paths ahead. The Poison Lake path will take you to Ashina Depths but ignore it for now! Guardian Ape boss fight has two phases. While this boss deals a lot of damage but to counter it, the boss cannot block your attacks. In the first phase, the Guardian Ape uses grappling attacks and if you manage to dodge them and get to the second phase, the boss will start using a sword. When the Guardian Ape lifts the sword to drop it down on you, you will have an opening to deflect that attack which will stun him and will give you the opportunity to land a few attacks. However, you will not be able to deflect all of its attacks so be careful. After you have defeated the Guardian Ape interact with the Watering Hole Sculptor’s Idol and enter the cave and you will find the flower. If you have completed the Ashina Depths then you need to go to Ashina Castle but the Sculptor’s Idol will be locked. 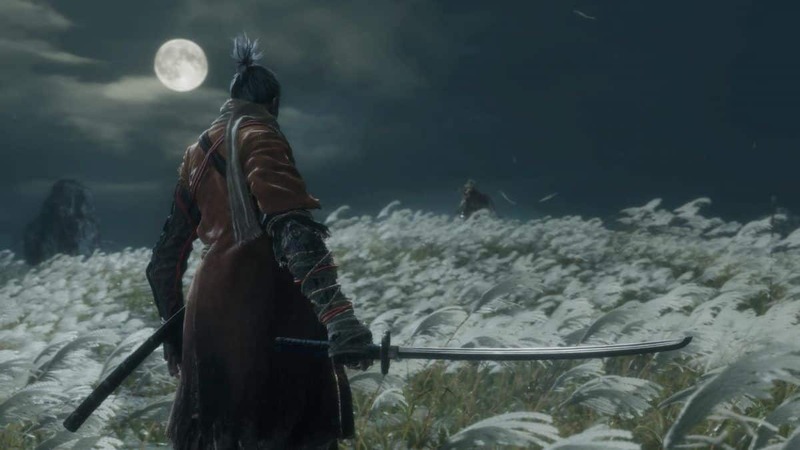 You will travel to Abandoned Dungeon and from there you will get to the Ashina Castle for the final battle. 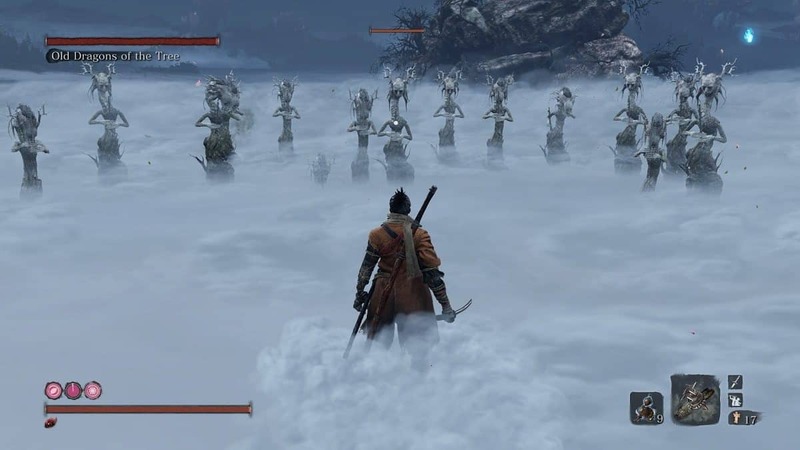 If you have not completed the Ashina Depths, then first you need to complete that region before you can face the final boss. 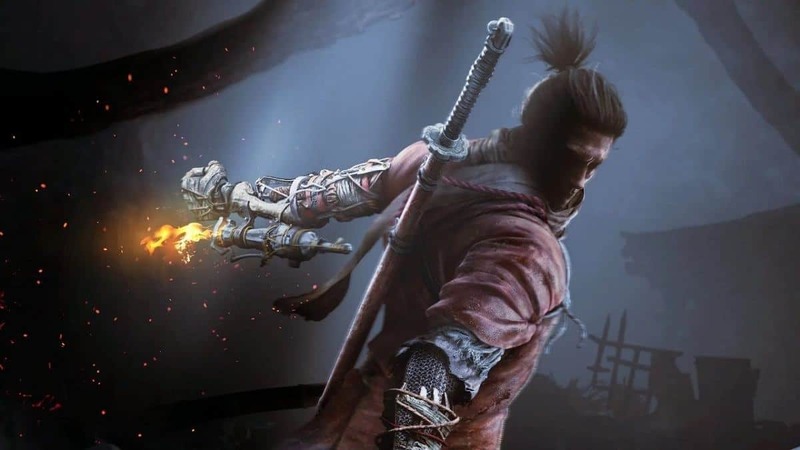 That is all for our Sekiro Sunken Valley Walkthrough Guide with tips on how to get to the Guardian Ape.